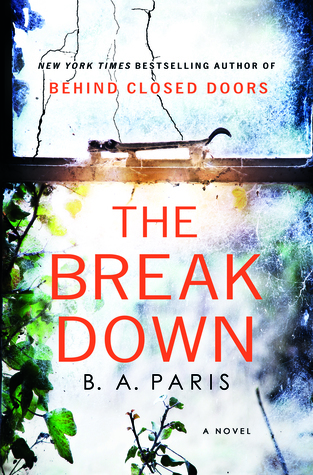 Today I'm featuring The Breakdown by B.A. Paris, which I will begin reading soon. The excerpts shared are from a hardcover edition I borrowed from the library. The thunder starts as we're saying goodbye, leaving each other for the summer holidays ahead. A loud crack echoes off the ground, making Connie jump. John laughs, the hot air dense around us. Page 56: "I wait until he's upstairs, then rewind the news until I find the number and jot it down on a piece of paper. I don't want the police to be able to trace the call back to me so I'll have to use a pay phone, which means I won't be able to phone until Monday, when Matthew's back at work. And once I have, hopefully some of my guilt will disappear." 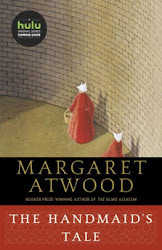 My thoughts: The opening lines don't give much detail about the story, but the Goodreads description, and the quality of the author's previous novel Behind Closed Doors, which I couldn't finish fast enough, have me eager to begin this novel. From Goodreads: Cass is having a hard time since the night she saw the car in the woods, on the winding rural road, in the middle of a downpour, with the woman sitting inside—the woman who was killed. She’s been trying to put the crime out of her mind; what could she have done, really? It’s a dangerous road to be on in the middle of a storm. Her husband would be furious if he knew she’d broken her promise not to take that shortcut home. And she probably would only have been hurt herself if she’d stopped.